Abramovich, Luiz, Zouma, Abraham, RLC, Cahill, Giroud, Jorginho, Zappacosta and Bournemouth. In today's Chelseadaft - Chelsea News bulletin we focus on the latest stories and articles that have caught my eye concerning the club we all adore - Chelsea! 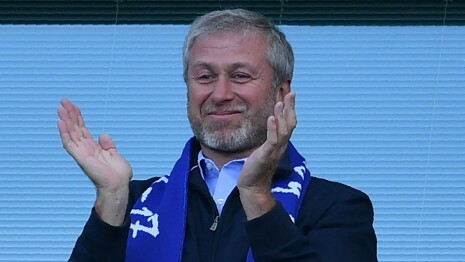 Roman Abramovich - Reports denied of selling, re-investing in the club and the stadium. David Luiz - Happy to be at Chelsea and back in the side. Kurt Zouma - Determined to be a success on loan to force his way back into Chelsea. Tammy Abraham - Wise words from Ronaldo, Loan move today to the Championship? RLC - Not happy at the club after TWO loan moves rejected. Gary Cahill - Stands down from England but has a fight to remain at Chelsea. Olivier Giroud - Determined to stay and fight for his place here. Jorginho's amazing passing stats - still doubt he is good enough without the ball. Davide Zappacosta - Frozen out? Move back to Italy in January?